There’s no reason the footprints left from moving furniture have to stay. With this easy solution from Molly Maid, it’s easy to get rid of these impressions overnight and with just a tiny bit of time and effort. 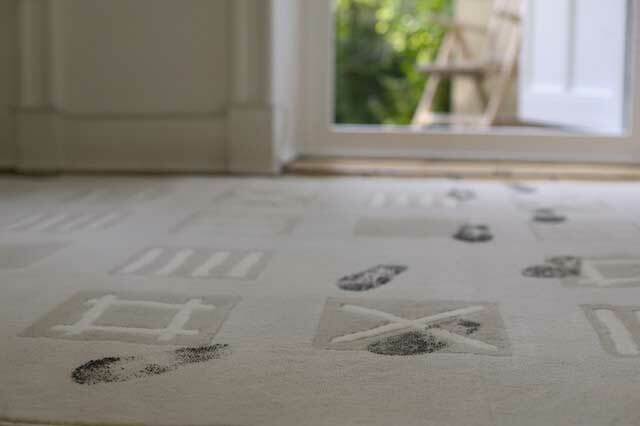 The secret cure for these carpet footprints is in your freezer. Simply open it up, grab out a handful of ice cubes, and set a few in each impression on the carpet. After the cubes have melted entirely, let the spot dry overnight and run the vacuum over the spot in the morning. That’s all. It’s really that simple to remove those footprints that can otherwise linger for days.